Boxiecat litter is our brand of all natural premium clumping clay litter. It is our mission to provide the best litter for you and your cats in the most convenient way. 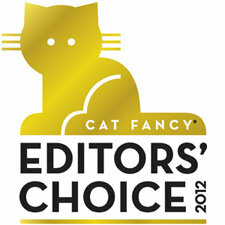 Boxiecat brand litter won the Cat Fancy 2012 Editors' Choice award, and is veterinarian recommended. 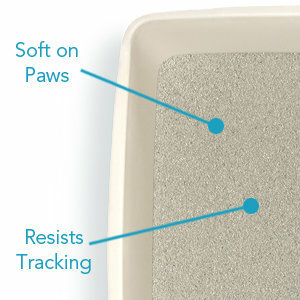 It is used by vets, shelters, and subscribers cats in all 50 states. There is only one ingredient in Boxiecat litter - pure, premium clay. Boxiecat litter is made by cat lovers with the best interests of your cats in mind. Our goal is to provide a 100% natural, truly effective and convenient clay cat litter option. Boxiecat litter and packaging are made in the USA, which allows us to maintain the highest level of quality control. We believe that better litter provides a noticeably better litter box experience for cats and those who love them. "This is truly the BEST litter! I am a veterinarian with 6 cats... I have used every litter on the market...all of the clay and non-clay litters. I couldn't stand the smell or the difficult clean up until Boxiecat! This litter clumps really well, so the litter lasts longer because you don't have the broken up chunks that fall from the scoop. I love this stuff and recommend it to anyone and everyone! I tell all my clients about it, too!" The #1 comment Boxiecat receives is that cats love it! Cats take to Boxiecat litter right away, and it helps attract cats to use the litter box. Given the choice to use a litter box filled with Boxiecat or a litter box containing another brand, customers report cats choose the litter box with Boxiecat every time! Hard clumps form quickly on the top, rather than soaking to the bottom of the litter box. 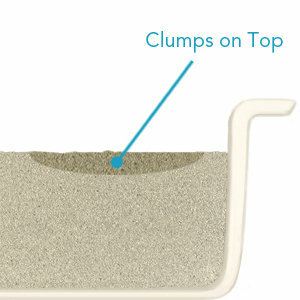 Clumps hold together during scooping, making litter care a breeze. Boxiecat litter stays ultra-clean even after weeks of scooping, creating a more inviting and better smelling litter box. Unscented, Boxiecat brand litter completely eliminates ammonia odors without using fragrance as a masking agent. Boxiecat has an extremely low dust content. It's made from pure, all natural clay, and contains no chemical additives. Because clumps don't break up during scooping, Boxiecat stays cleaner longer. It also forms smaller and lighter clumps. Based on customer averages, one 16 pound bag lasts one cat approximately one month. Boxiecat is perfect for single and multi-cat households, as well as regular, sifting, and mechanical litter boxes. Customers report that using Boxiecat makes a noticeable difference, both for cats and those who love them! Boxiecat packaging is durable, manageable to lift, easy to tear open, has a zip-lock for re-sealing, and is 100% recyclable. Boxiecat litter is biodegradable and made in the U.S.A.
All natural premium clay. No fragrances, no dyes, no bleach. Boxiecat was created by cat lovers who wanted a better litter box experience. Boxiecat is family-owned and -operated, and supports Shelters and Rescues Nationwide through its Shelter Partner Program. Boxiecat loves cats!